IMO2020 will be the law of the land – or should we say, law of the seas – in a year. The International Maritime Organization (IMO) is requiring that ships burn fuel with a sulfur content no greater than 0.5 percent beginning on January 1, 2020. 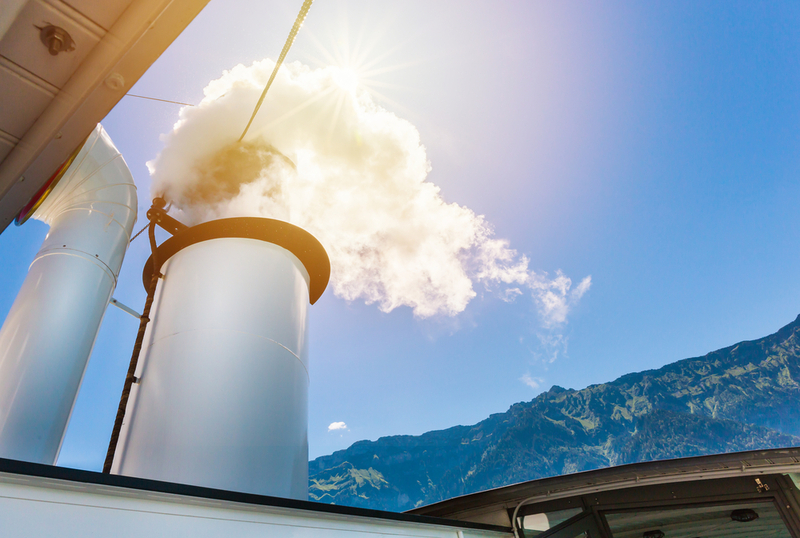 At present, there are areas of major maritime traffic known as SECAs, or sulfur emission controls areas, where there already are such regulations, but IMO2020 will require low sulfur fuels globally – in an industry that frequently burns fuels with 3.0 percent or more sulfur content. The expectation is that the maritime industry will turn to low sulfur marine diesel. There are other solutions: retrofitting a ship to burn liquid natural gas (LNG), or installing expensive scrubbers that continue to allow the burning of higher-sulfur fuels that get “scrubbed” of their sulfur before emissions. But ships with scrubbers are expected to be just a small percentage of the ships on the seas. Instead, it’s going to be products such as marine diesel or marine gasoil, which is similar, that will be used to meet the new emissions rules. And the trucking and transport sector is concerned that the switch in fuels will boost global demand and prices for middle distillates – which includes diesel – by an amount that could squeeze profitability in the trucking sector. This past week, the Energy Information Administration (EIA) of the U.S. Department of Energy tried to put a number on what these changes are going to cost. EIA did this in its monthly Short Term Energy Outlook for January, the first time it forecast prices for crude oil and oil-based products in 2020. It started with a forecast that crude prices next year would average an amount not that much different than what they are now ($61/barrel for Brent). It forecasts that Brent will move up to $65 in 2020. The Brent market is more relevant in the United States. The U.S. both imports and exports gasoline and diesel, so it’s ultimately tied to global markets. And that means it’s tied to the global crude benchmark of Brent rather than the growing West Texas Intermediate (WTI) market of the U.S. The benefit of a forecast of $65 is that the market is near that level now, so the forecast on what is going to happen to the cost of diesel under IMO2020 is easy to equate to the current market. In its report the EIA said the spread between the ICE Brent price and the wholesale price of ultra low sulfur diesel (ULSD) – known as the “rack” in industry parlance – averaged 43 cents in 2018. EIA estimates that IMO2020 and changes made in preparation for it will increase that margin to 48 cents this year. It then predicts the ICE Brent-rack ULSD price would rise to 65 cts the year after. In the understatement of the year, the EIA says: "Because of the numerous and diverse set of decision-makers involved in complying with the regulation and the global nature of the regulation, significant uncertainty exists about the forecast outcomes of the regulation." Still, the EIA has produced one of the more specific forecasts so far on what IMO2020 will mean for wholesale and by extension retail diesel in the U.S.
A “two-handed” economist could say: there have been predictions of incredible surges in diesel prices as a result of IMO2020 and here’s the EIA saying it might only add 22 cents to the wholesale price, which would translate to a little more than that at the pump. But on the other hand, the two-handed economist would say, that’s 22 cents on a base of about 43 cents, so it’s about a 50 percent increase in the wholesale margin. That’s a lot. If that roughly 50 percent move holds against a crude price that rises significantly more than the forecast of $65, and that Brent/rack diesel spread rises exponentially, it could be adding far more than 25-30 cents. There were two items this past week on politically driven policies that could impact the flow of crude. The first were reports that the U.S. might seek to impose tough sanctions on Venezuela for a variety of its behaviors that would have the impact of reducing or even eliminating crude imports into the U.S from Venezuela. In October 2018, the last month for which full-month data is available, the U.S. imported 506,000 barrels per day (b/d) of crude from Venezuela, down significantly from a few years ago (as are imports from all countries). But Venezuela produces mostly heavy crudes that U.S. refiners years ago engineered their facilities to be able to process. A cutoff has an impact that would go beyond a simple counting of barrels. There were market reports this week that barrels of similar types of heavy crude from places like Mexico were being bid up in the spot market by refiners concerned about the loss of Venezuelan crude. Venezuela could try to export its crude elsewhere but there are not that many refineries built to handle it. Venezuela would have a tough time finding a home for all of it. In the second development, Brian Hook, the U.S. special representative for Iran and a key advisor to U.S. Secretary of State Mike Pompeo, was unambiguous in saying that the U.S. plans no further waivers on the export of crude from Iran under U.S. sanctions. At an oil conference in Abu Dhabi, Hook said the goal of the U.S. on Iran exports is to “get to zero as fast as possible,” according to several news reports. In November 2018 the U.S. granted waivers to eight countries to continue importing Iranian crude despite U.S. sanctions. There is general consensus in oil markets that the waivers had a significant impact in driving oil prices lower. Barrels of Iranian crude that were going to be confined to Iran or stuck in floating storage instead made its way onto the market. That isn’t to say that the U.S. sanctions have had no impact on Iranian supply; OPEC’s own estimates from secondary sources released this past week show Iranian production dropping to 2.769 million b/d in December from 3.3 million b/d in October. But the decline was expected to be far more. Most market forecasts see a surplus of crude next year and it may be that the market can handle loss of more Iranian crude. But given President Trump’s boasting that he was the one who made oil prices go down, there is a real question when the waivers start expiring in March whether the Trump Administration would risk a price spike by letting them lapse and having a cut in supply.